Please join us for the CRA Regional Networking Meeting at EnviroPure in Travelers Rest, SC. The meeting will feature a presentation by EnviroPure on organic food waste disposal, a facility tour, lunch, and open networking time. 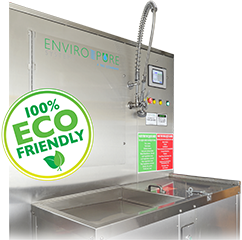 EnviroPure Systems Inc. is a world leader in the development of alternative technologies designed to solve one of today’s most urgent environmental problems: organic food waste disposal. The company manufactures, markets and sells self-contained, food waste elimination systems. EnviroPure EPW systems provide water-based submersed environment decomposition that turns food waste into water that can be safely disposed of into municipal waste water systems.